Each year, on the last Sunday of July, residents of Hakalau, Wailea, Chin Chuck Road, and Kaiwiki Homestead Road gather at Kolekole Beach Park to celebrate our community. Today's kumiai is a celebration of community, complete with lots of food, games for children and adults, songs, a book exchange, and lots of storytelling. 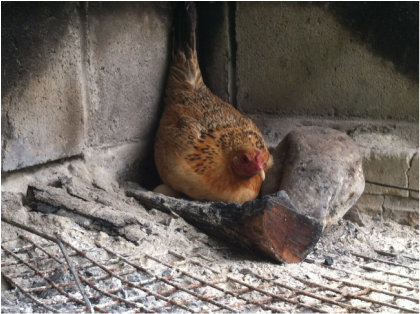 This hen and her eggs in the BBQ pit are a reminder of our rural home. 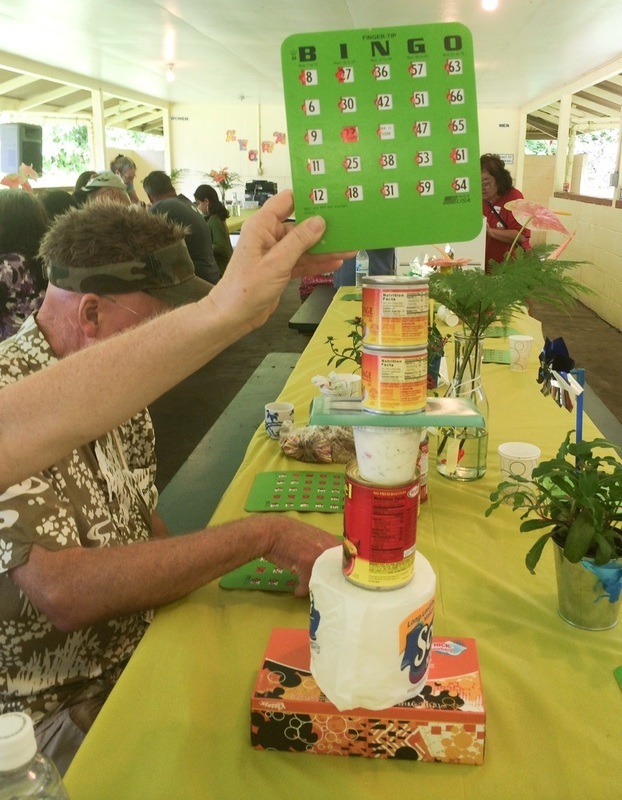 Bingo is a big hit at the kumiai, with special prizes like toilet paper, vienna sausage, and spam.